Check the house on the right for a chuckle. 5 Responses to Christmas Lights. 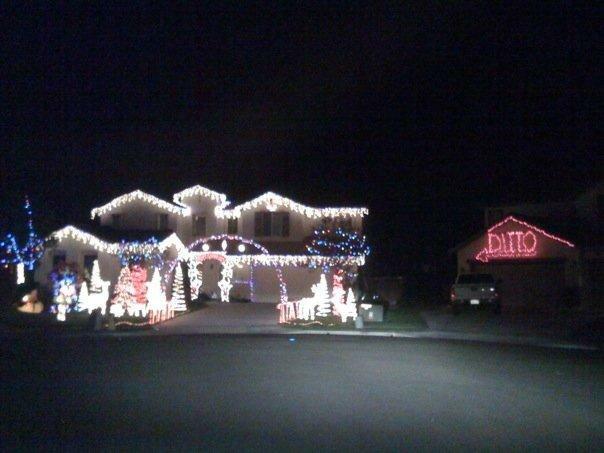 marvellous!-wonder what the people in the lit-up house think?! !